It’s Science Literacy Week here in Canada, a time to celebrate science communication in all media. For the rest of this week, I’m featuring some of my favourite science books! I’ll also be joining the fun with two talks about our new dinosaur Zuul at the Toronto Public Library, and will be hanging out with Zuul for the ROM’s Family Funday: Brilliant Science next Sunday. This is also a good time to remind you to take the reader survey for the Complete Dinosaur, 3rd Edition, a new book I’m editing with Lindsay Zanno and Tom Holtz! Today’s book highlights: what is it like to be a scientist and to do science? 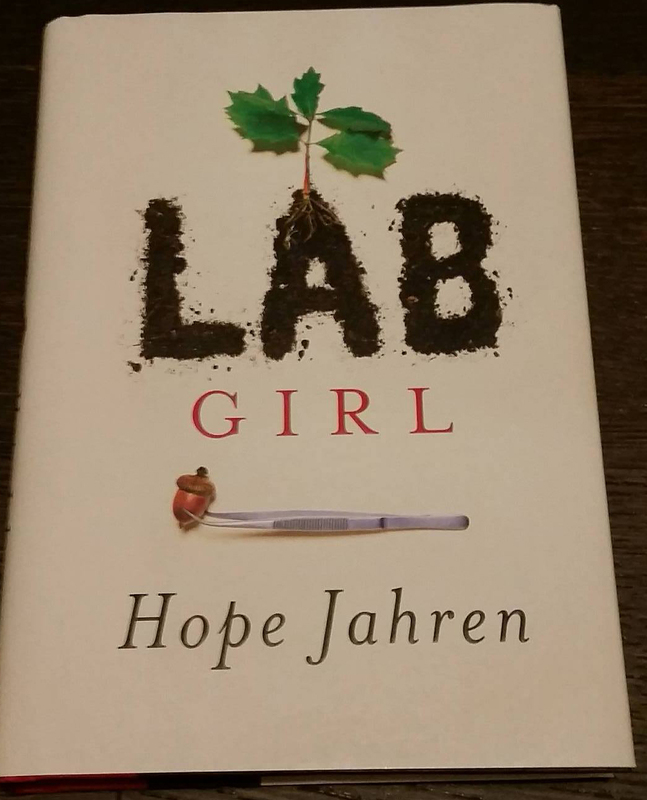 I think my go-to recommendation has to be Hope Jahren’s Lab Girl, a retrospective of an amazing career in plant biology. It’s also, frankly, a difficult book to get through, and I often had to set it aside for a few days at a time to digest what I’d been reading. Jahren’s book recounts the stories of her path through a scientific career, beginning as an undergrad and winding her way through grad school, her first job as a professor, and as she set up new labs at Johns Hopkins and the University of Hawaii. Jahren is an incredibly bright, incredibly driven scientist, and I’d like to steal some of her grit one day if I can. I love reading stories about people who succeed through sheer determination of will. But I also feel a deep sense of unease about how we select for success in academia: Jahren had many successes, but also faced incredible cruelty while trying to make a place for herself in the academe, as well as the faceless callousness that is the unending fight for research money, especially in the American funding system. How many scientific discoveries have we missed because we selected out up and coming scientists with just a little bit less grit, a little more hardship, or a little less money? Just this weekend I read an article by Mary-Clare King, the woman who discovered BRCA1, the gene that causes hereditary breast cancer. King had a string of really bad days just before getting the grant that ultimately funded that discovery: her marriage failed, her house was burgled, and familial support wasn’t what it could have been. The parallels with Lab Girl are easy to spot: I read this story and am amazed and inspired, but also wonder how many other stories like this have happened where someone with maybe a little bit less luck just gave up the ghost on their research career, and that was that. Suddenly I realize that this post is tending towards the negative, where what I really want to send readers away with is that scientific success requires dedication and determination, and the ability to plow through the bad times and hope you come out the other side relatively unscathed. But that success is also highly random and contingent on a lot of factors outside our control, so we’ve got to help each other out as much as we can, make our funding environments a bit less cutthroat, and remember not to pull up the ladder behind ourselves. Go read that book.